GREENSBORO, N.C. (theACC.com) – Louisville has been selected as the 2019 Atlantic Coast Conference baseball preseason favorite by the league’s 14 head coaches, while North Carolina was chosen to repeat as Coastal Division champion. Louisville also led the way in the Atlantic Division balloting with 90 total points, followed by two-time defending ACC champion Florida State (86), Clemson (71), NC State (53), Wake Forest (49), Notre Dame (24) and Boston College (19). The Cardinals were selected as division favorites by seven coaches, with Florida State receiving six votes and Clemson one. Thirteen coaches picked the Tar Heels to win the Coastal Division, with Virginia receiving the other first-place vote. North Carolina tallied 97 total points, but balloting for the other spots in the division was air-tight with Virginia and Duke tying for second place with 64 points each, followed by Miami (61) and Georgia Tech (59). Pitt (24 points) and Virginia Tech (23) rounded out the Coastal voting. The ACC has placed at least one team in the College World Series for 13 consecutive years and at least six teams in the NCAA Tournament each of the past 15 years. A total of 75 conference players have been selected in each of the past two Major League Baseball drafts. 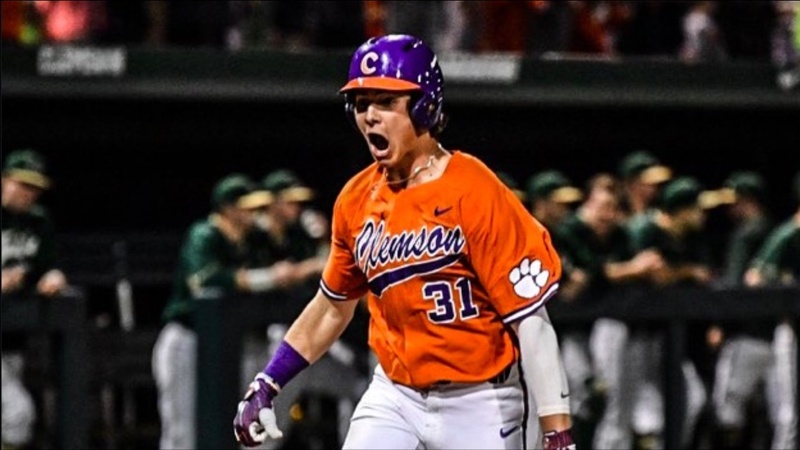 Nine different ACC teams have been ranked in at least one major poll during the 2019 preseason, including eight in the NCBWA rankings released earlier this week. Both Louisville and North Carolina have been mainstays in the preseason rankings, with the Cardinals rated as high as fourth nationally (by D1 Baseball) and the Tar Heels as high as fifth (by Baseball America). All 14 ACC teams open their seasons on Friday, Feb. 15, with conference play set to begin on Friday, March 8. The 15-game ACC Baseball Championship returns to Durham Bulls Athletic Park in Durham, North Carolina, May 21-26.